Over the next weeks the first four hundred members of the Iranian opposition group Mujahedin -e Khalq will be transferred from their camp in Iraq to a transition camp near Bagdad. That will serve as the first step towards the closure of the twenty-five-year-old Camp Ashraf, and serve as a move towards an humanitarian solution for the estimated 3,000 residents, of which the majority are fifty years of age or older. The agreement that the United Nations and Iraq reached on Christmas Day and which was endorsed by the Mujahedin leadership, prevents an armed evacuation of the camp. The Iraqi government had given the Mujahedin -e Khalq Organization (MKO) until the end of the year to close the site. The leadership only agreed to a change of direction after the Americans had promised that their embassy would observe the situation in the camp, the former American base Camp Liberty located near the Bagdad airport, alongside the security and monitoring provided by the United Nations. Only after the first 400 are deemed to be safe, will the MKO cooperate with the relocation of the rest – which serves as a further attempt to delay the complete closure of Ashraf. 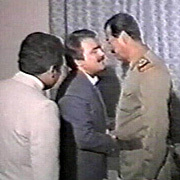 The MKO came to Iraq in 1985, after years of opposition against the Shah and subsequently Khomeini. The organization fought alongside Saddam in the Iran-Iraq war (1985-1988) and helped him with the striking down of the Shiite and Kurdish uprisings in 1991. After his fall the MKO-camps were closed, with the exception of Ashraf, that up until 2009 remained under American control. Subsequent Iraqi governments pushed for the closure of the site, especially after it became apparent that the camp leaders maintained ties with radical Sunni groups operating in the unstable province of Diyala. The group is on the American list of terrorist organizations due to attacks on American targets, but is in 2009 removed from the European terrorist list. This decides the future of the members, for which the United Nations will seek asylum outside of Iraq. This is no easy task; the group is regarded as a political sect with a cult following with regard to the leaders, the couple Rajavi. From them is Maryam the face of the organization; she operates from Paris while there have been numerous speculations since 2003 regarding the location of her husband Massoud. The political divisions in Iraq are also affecting the MKO; the Shiite majority sees them as the enemy due to their cooperation with Saddam and Prime Minister Maliki wants them out due to their ties to Iran, while the Sunni politicians want to leave them alone. Since 2009 Camp Ashraf has repeatedly been the stage for violence; attempts by the Iraqi army to gain control of the facility escalated and resulted in deadly clashes. Even during the course of this week the camp was bombarded with rockets which the MKO regard as coming from the Iranian Republican Guard – while given the large numbers of enemies of the group is far from certain. Family members of the Mujahedin inside the camp, who this week for umpteenth time stood at the front gate in the hope of getting to speak to their loved ones, have been stamped by the MKO leaders as working for the Iranian secret service. For years the leadership has forbidden members from leaving; those who manage to escape talk about the indoctrination and brainwashing. 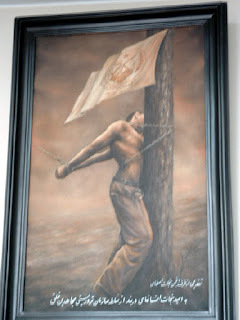 Many dissidents are incarcerated and tortured until they, truthfully or not, admit to working for Iran. Former members have organizations in both Europe as in Iran; those in Iran are under close scrutiny and control of the government, just as the former members who have returned to their homeland, including even a few former leaders. Tehran for years maintained a policy in which former members and their families were reunited after a debriefing and jail time if they were involved in actions against Iran. 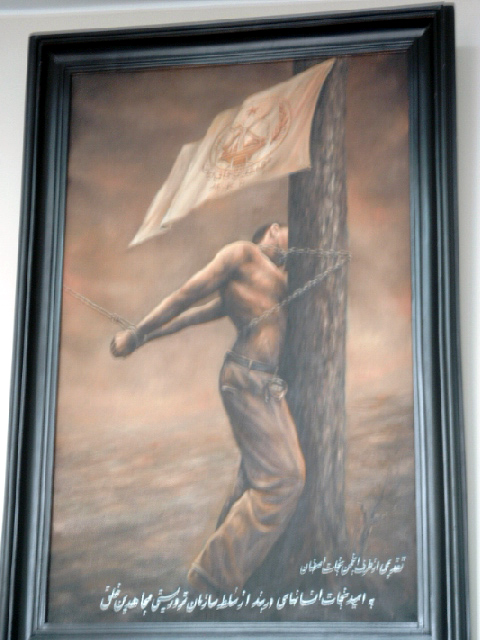 The MKO received the guarantee that the 400 members who are going to Camp Liberty will not be sent to Iran, but the question remains if countries offering asylum will have enough faith in the belief that they are indeed accepting individual, elderly resistance fighters, and not active members of a militarily-trained resistance group. This article by my hand was published in Dutch in Trouw on December 31, 2011. Because of copyright this story cannot be copied without contact with the writer or the newspaper.